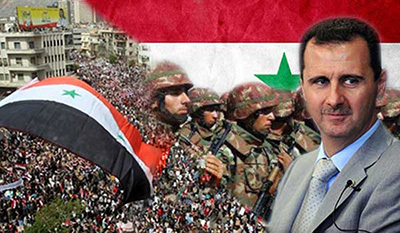 The Syrian President Bashar al-Assad cannot be described as a President of the Syrian State only, but he is a great leader for Syria, an Arab leader and a national hero as well. This comes because he has qualifications that make others unqualified enough to assume the power of the Syrian presidency. 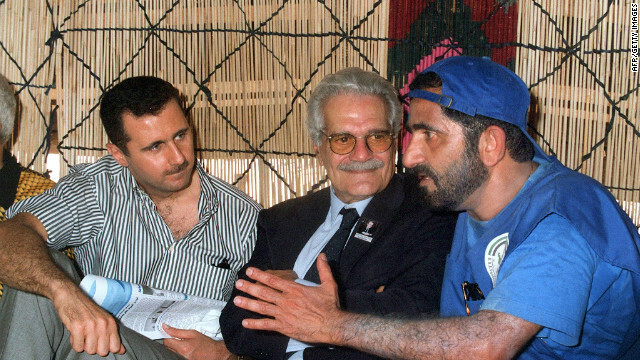 Dr. Bashar is the son of his mentor Hafez al-Assad, who trained him based upon his traditional Arab principles and his national noble humanitarian values. 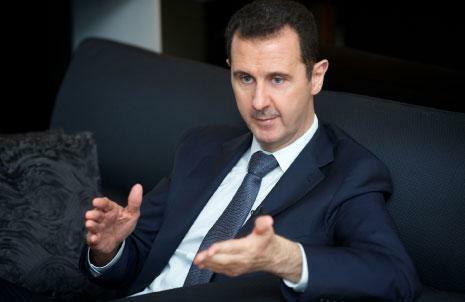 A question remains, why do we want Bashar al-Assad to continue to be the president of Syria? 1. He is being targeted by America and the West. The access of evil does not want a president that maintains the sovereignty and independence of his country away from interfering in its internal affairs and its strategic and foreign policy. 2. He is the sole and legitimate representative of Syria, especially since he has been re-elected several times by the people, and a referendum was held to evaluate his personality during the peak of the current crisis. 3. He is still maintaining Syria’s Arab, patriotic, and national identity. 4. 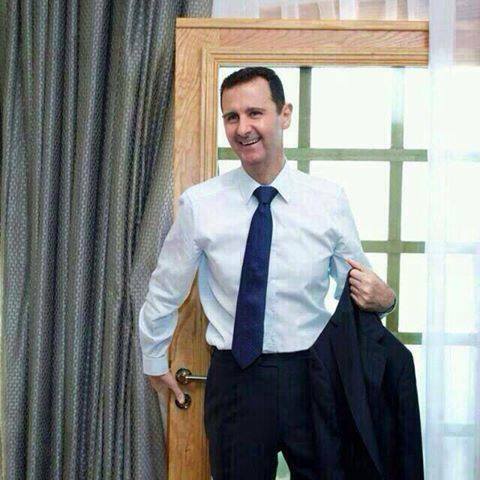 He does not depend on any one, he is loyal to Syria, and he works in favor of all his people at home. 5. He worked on raising the name of Syria in the Arab League and the regional and international forums. 6. He refused to sign a surrender agreement with the Zionist entity and to waive the Golan Heights, but worked on accepting the talks with Israel on the basis of the Madrid Peace Conference (land for peace). 7. He supported the national liberation movements in the Arab and Islamic worlds, provided absolute support for the Palestinian resistance, supported the resistance in Palestine by hosting Hamas, the Islamic Jihad, and the Popular Front, and backed Gaza in its struggle with the Zionist entity in 2008 and 2012. He also worked on trying to reunion the Palestinians and achieving the reconciliation between them as well. He treated the Palestinians in Syria in a very kind way and considered them parallel to the Syrians. He also provided support for the Lebanese resistance by providing facilities to enter arms into the Lebanese territory, supported Lebanon’s right to resist in the international forums, and opened the Syrian border in front of the Lebanese people during the July 2006 war. "Syrian President Dr. Bashar Al-Assad is elected Chief Executive with a popular mandate with a Parliament having a lawful democratic Govt. unlike many Arab Countries which are governed by the Kingdoms, Sheikhdoms, sultanates which have not yet a word like democracy in their dictionaries yet they are most favorite nations of the Anglo-American bloc because they have accepted the US as their masters, Let Us first start democracy from those Arab countries." Prof. Bhim Singh, Chief Patron of National Panthers Party and Chairman of Indo-Arab Solidarity Council, January 3, 2013.
" H.E. 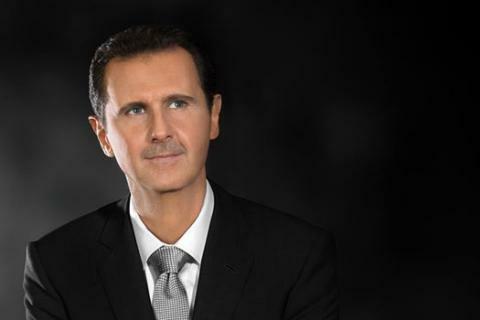 President Bashar Al-Assad is highly Educated, charismatic, more human and democratic than all Arab leaders, with a reform agenda for the people of Syria. President Al-Assad has been introducing reforms to his country, the constitution of Syria is more democratic even than that of some Western countries''. Prof. Muhammad Shahid Amin Khan, Chairman of the International Human Rights Commission, (IHRC). Alexey Pushkov, Foreign Affairs Committee Chairman of the Russian Duma, November 7, 2012. George Galloway, the British renowned MP, Beirut, October 30, 2012.